Rustic is almost synonymous with rural. It is defined as simple and artless or even unsophisticated. Well, that may be is the general definition for this word but we are going to tweak it a little bit when we use it for interior design. In interior design or room decorating, rustic style is a bit complex. It is not that simple at all. Today you will know why this extraordinary, charmingly coarse style is becoming more and more popular nowadays. This design has gotten its inspiration from French, English and Swedish country looks. It is rugged, full of textures and lovely natural colors. 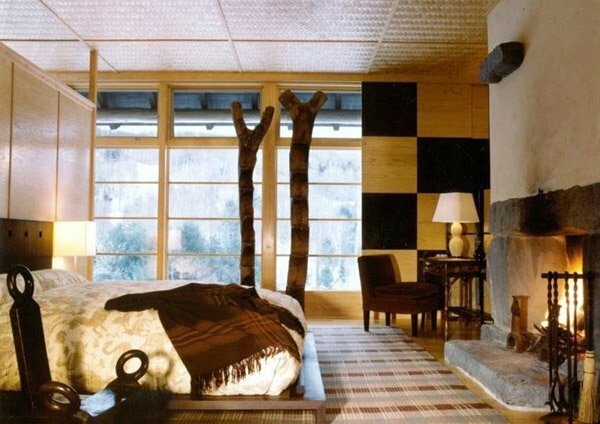 Natural woods, older surfaces, rough finishes and simple natural lines are used in creating a rustic bedroom. It is kind of tricky though, since it can make a room looks busy when not done well. So you have to make sure that the fabrics used and colors are complementing each other. 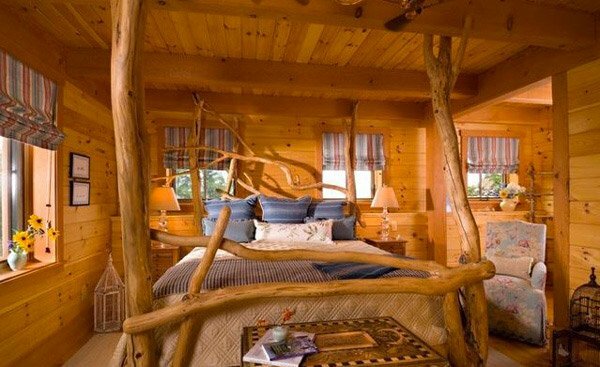 To give you more ideas and inspirations here are 15 striking photos for our Rustic Bedroom Designs! The pops of browns in this otherwise white bedroom and the combination of distressed furniture and decors make it shine. The bare ceiling, furniture and the decors are carefully put together to create this amazingly snugly rustic bedroom design. Who would have thought that a rustic bedroom can be this sophisticated? The combination of a variety of wood species, textures and patterns take this rustic design to a different level. Fabulous, unique four-poster bed, wood walls and the use of different tones of blue create a cottage-feel that will make you want to stay here all day. Put some striking surprise to your rustic bedroom and catch eyes like this red comforter with its patterns and do not forget to accentuate your walls with these wall light fixtures. It really sets a rustic mood. 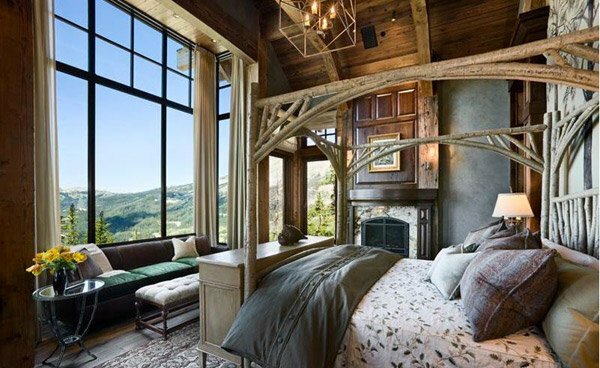 This rustic bedroom design is such a romantic, peaceful retreat one could ever dream of. 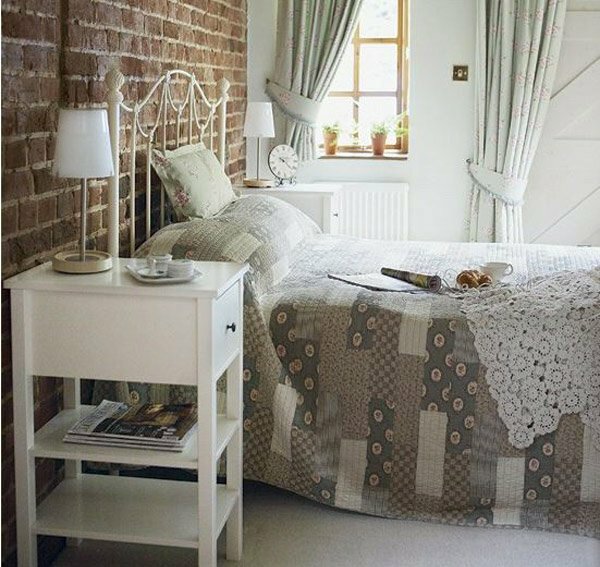 Give your rustic bedroom a feminine flair by softening it with pale pastel colors and patchwork bedspread. Lovely soft colors and textures were combined to create such a beauty and warm rustic bedroom design. 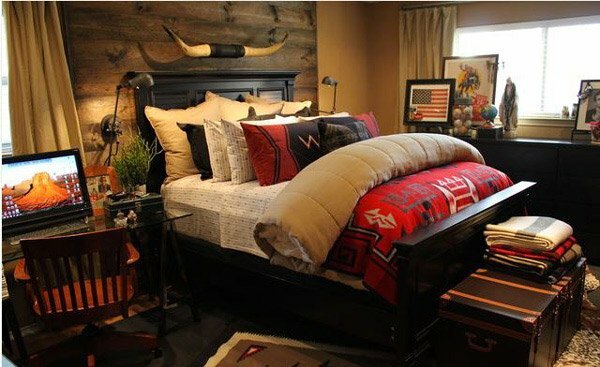 Feel like a cowboy from the West with this rustic bedroom design. 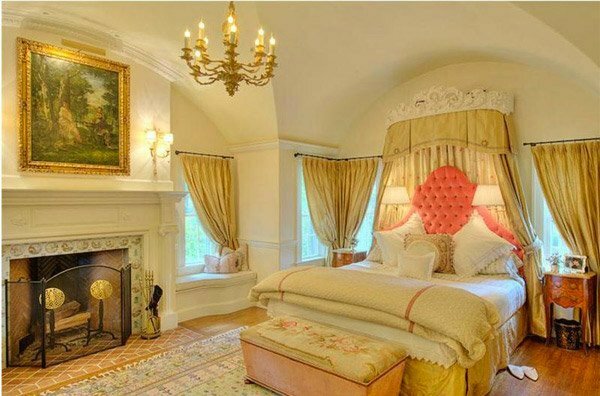 The wall treatment, the bed itself, the fancy chandelier everything here just blended perfectly. Neutral colors and simple clean lines come into play in this rustic bedroom design; the Dogon ladder by Tucker Robbins and the playful geometrical patterns added to the rustic ambiance. So airy and bright and the bed takes a center stage in this rustic bedroom design. 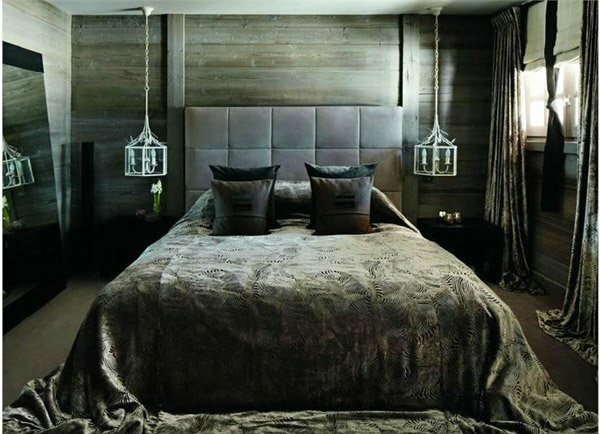 We love this dark, rustic bedroom design! It is full of drama and texture and we are sure that for those who have an eye for dark appeal, you’ll love it too! 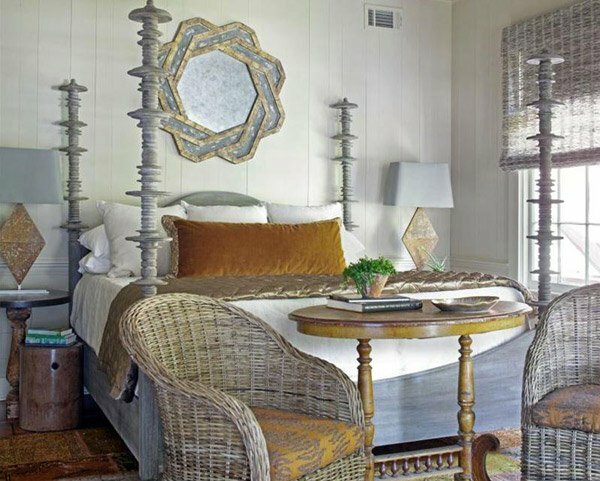 The neutral palette with the beautifully designed iron wrought mirrors on the wall projects depth and sophistication to this rustic bedroom design. 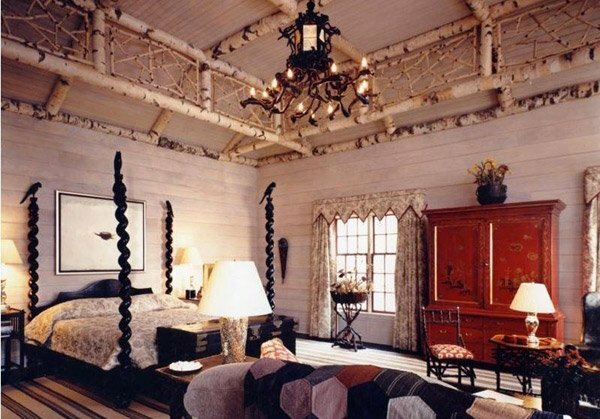 So grand yet simple and traditional, this rustic bedroom design is warm and very welcoming. 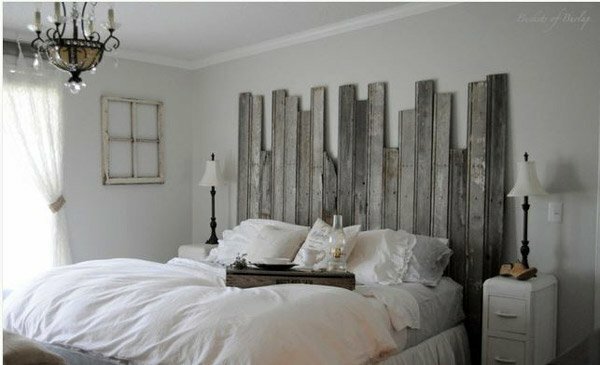 Strikingly beautiful is this rustic headboard design made from reclaimed barn wood, created in uneven heights for an added rustic appeal to such a lovely, romantic bedroom. 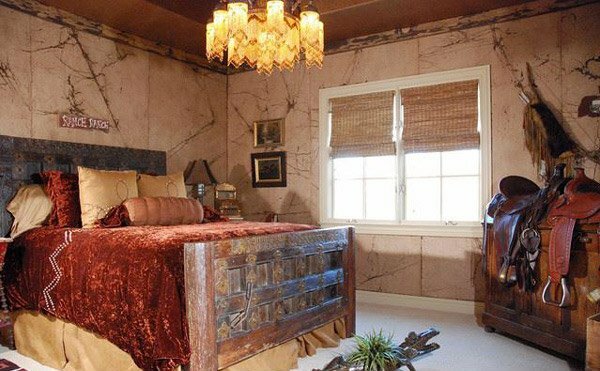 There you have it folks, our 15 Sophisticated Rustic Bedroom Designs! 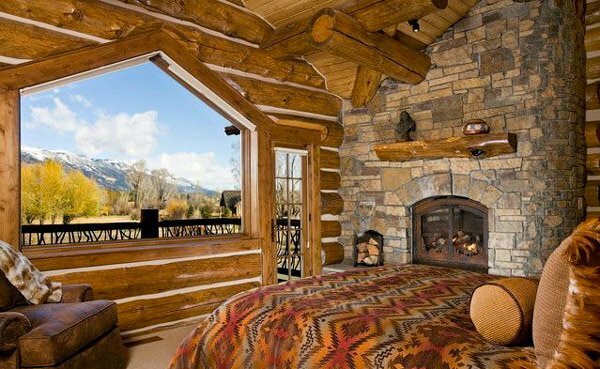 Rustic bedroom designs are cozy. It creates a feeling of pure comfort and an outdoor appeal. The main concept is to bring the outdoor inside your slumber chamber. Rustic furniture and decors can be very sophisticated when used in a stylish way. It is just a matter of using your own sense of creativity. We hope you liked it as you have loved our Rustic Dining Room Designs. 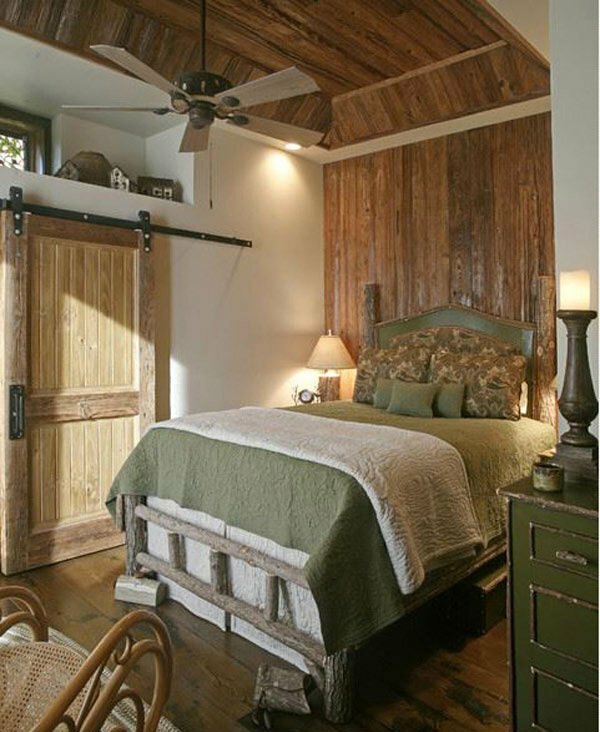 There’s some great ideas here – love this rustic style for the bedroom. Fantastic ideas! I do like a home with a rustic feel to it.